Soto Moto, remember the name! 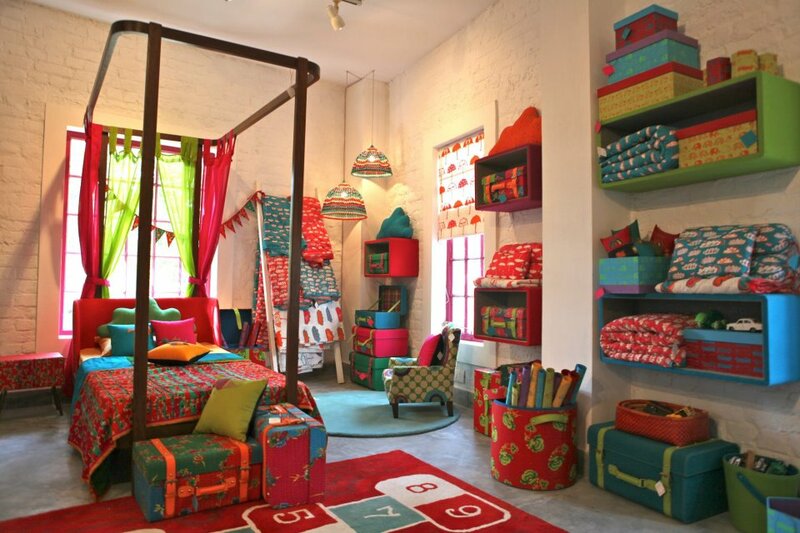 This brand new kids' design studio and retail space in Hauz Khas Village, New Delhi, has already captured the attention of the Indian Press and may well appeal to players in the international kids' design market. 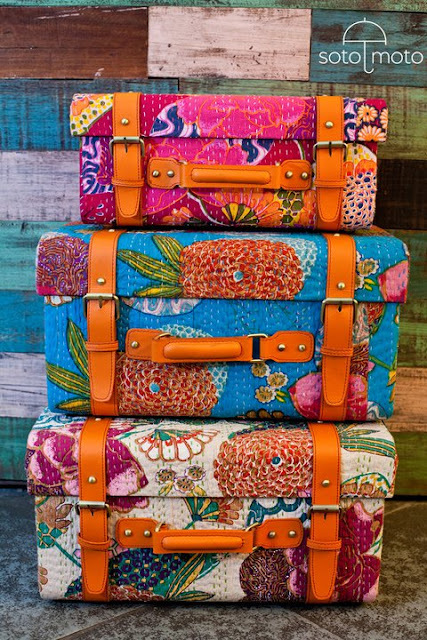 Created very recently by Suman Sharma and Pallavi Arora, both graduates from the National Institute of Design, Ahmedabad, India, Sotomoto offers a curated mix of kids' furniture, rugs, bedding, toys and decorative accessories, all stemming from the craft and textile traditions of India but marked by their own modern colour palette and original prints. 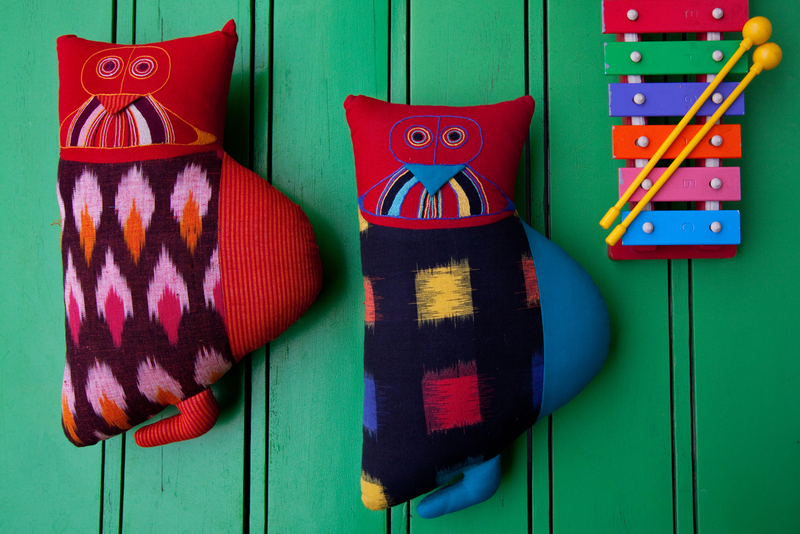 I love their quirky, soft toys and children's curtains, in particular. 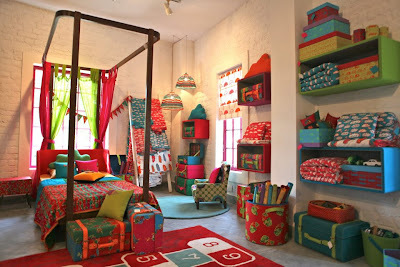 The talented duo also offer a kids' space design service, and many of their products are customizable. Sotomoto is active on Facebook, if you'd like more information. I for one will be following them from now on. Thanks for the introduction Roshnee! 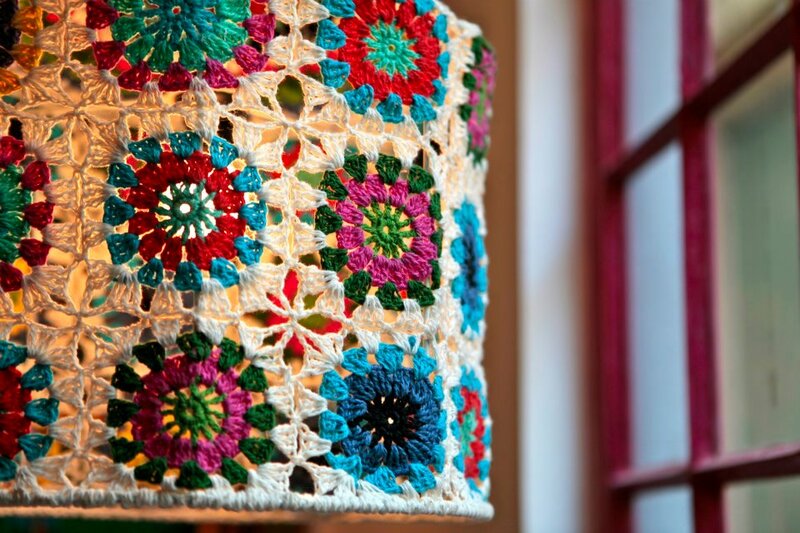 I remenber Hauz Khas village and its creative people ... thanks for the link ! !